If the windows on your garage door are cracked, loose, or falling out due to poor sealing, you’ll want to call All Service Glass for your garage door glass replacement. We can schedule convenient appointments. We proudly serve the Gresham OR, Portland and surrounding areas. We carry a wide range of garage door windows, including the kinds that screw on or that snap into place. Our team of garage door glass replacement technicians will only present the types that are compatible with your garage door. You can also speak with our glazier about how the typical garage door glass replacement is done. You can also select from clear panes, frosted panes, and double-pane windows. The last option is especially good for reducing heat, while frosted panes can ensure your privacy. All Service Glass is available to promptly address your garage door glass and window repair needs. Whatever your specific window or door repair need is, you can expect a licensed professional glazier to resolve your issue quickly, without compromising quality of service. When you choose All Service Glass only the highest quality materials are used, and the job is not complete until you are satisfied. 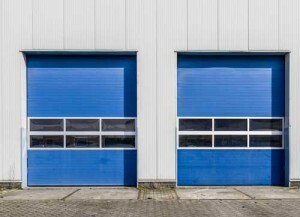 Choosing the right company to manage the installation of garage door replacement windows can make all the difference in your business; energy efficient and cost-effective. Contact All Service Glass today, we are here to answer questions and provide you with a Free Estimate.